Joshua Tree NP has two different and distinctive desert ecosytems. In the lower elevations of the park, where this image was captured, an arm of the Colorado Desert (part of the larger Sonoran Desert) infiltrates the eastern most edges of the Mohave Desert and creates an usual and eclectic mix of desert flora. It is here, where intreprid travelers can occasionally find a colorful display of healthy barrel cacti. 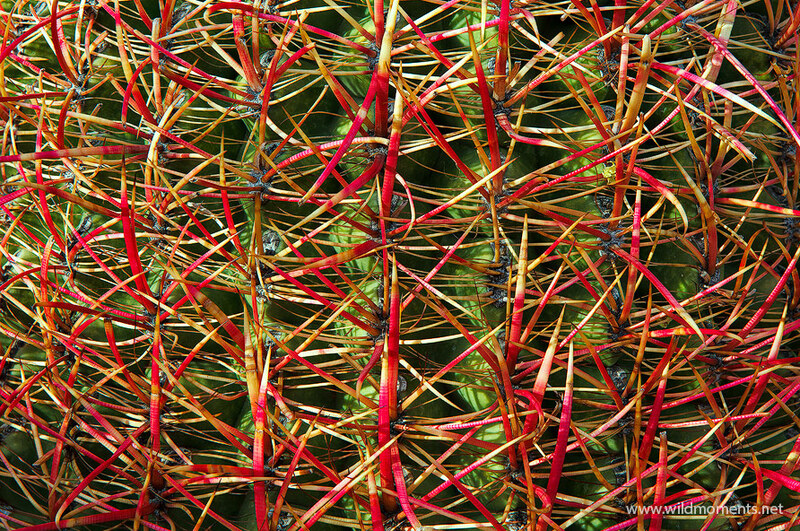 This particular image features a large and vibrant specimen with particularly noticeable patterns of needles and ridges. The dappled side light of late afternoon accentuates its beauty. Photo © copyright by Michael Greene.